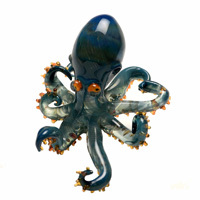 The Rogan Glass Studio is where I design and create my glass gifts and Murano inspired glass jewellery which includes, glass pendants, glass paperweights, collectable glass marbles, and figurines. 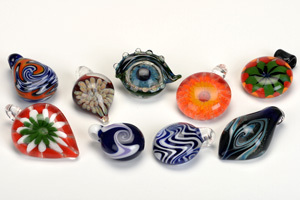 The majority of my work is now made from Borosilicate glass which is proven to be more robust. 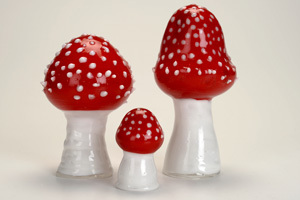 Borosilicate glass is the same glass used in Pyrex ovenware and plane lights. Occasionally I use Bullseye glass which is a softer glass for my lamp work beads and earrings. All my handmade designs in the collection are 'Unique' one off pieces. The pieces of jewellery are individually designed and will enhance any outfit. As the items are not mass produced, you can be rest assured knowing that your friends and colleagues will not be wearing an identical piece to that function or party. I like to treat every customer individually and if there is something special you have in mind you would like me to create for you, please get in touch to discuss your requirements. Go to our online shop to view the collection.